2. In a pan, add in the beef and onion. Cook until brown. 3. Add in 1 cup of enchilada sauce and cheddar and mix well. Cook until done. 4. 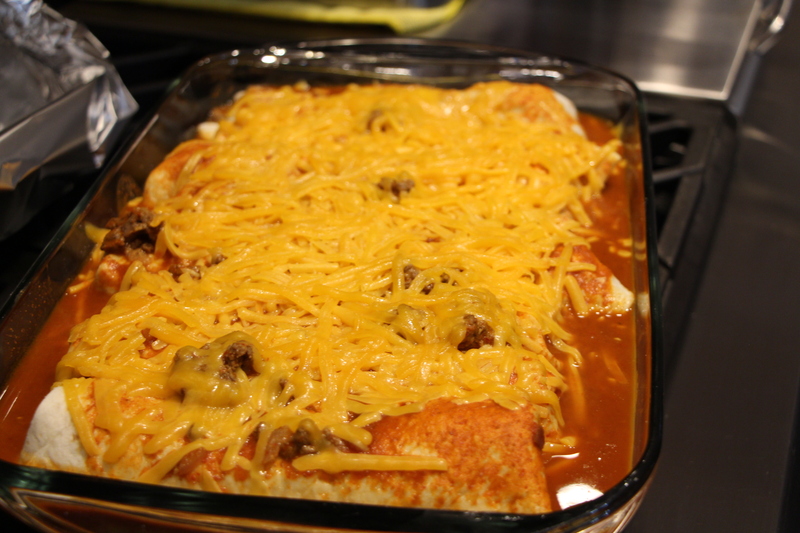 Stuff the tortillas with beef mixture and place into the baking dish, seam side down. Pour in remaining beef, enchilada sauce and cheddar. Cover with a foil and bake in the oven for 30 minutes. 5. For rice – cook rice according to the package directions. 6. In a large bowl, beat cream cheese with an immersion blender, add in the tomato sauce and beat again. 7. Pour the mixture over the cooked rice and stir well. 8. Serve the rice along with enchiladas.